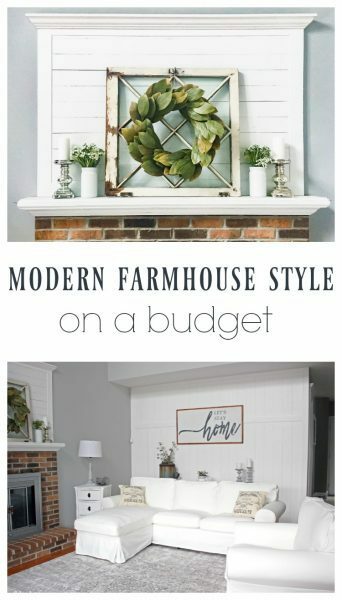 From 1980s to Beautiful Farmhouse on a Budget - Lovely Etc. 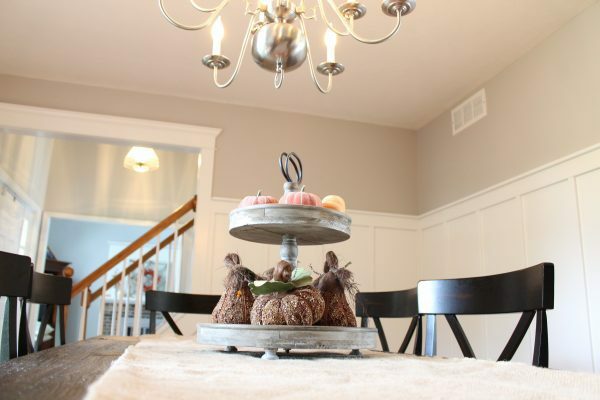 Today the fabulous Heather from Centsible Chateau is here to share her beautiful home tour with us. 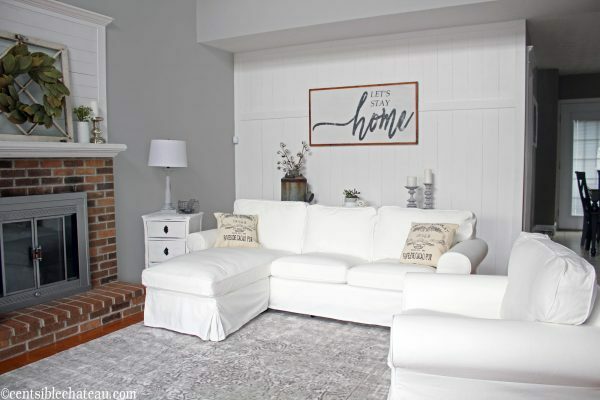 She has been busy transforming her dated house into a beautiful modern farmhouse. Her home is stunning and you would never guess she and her husband have done almost everything themselves without spending a ton of money. 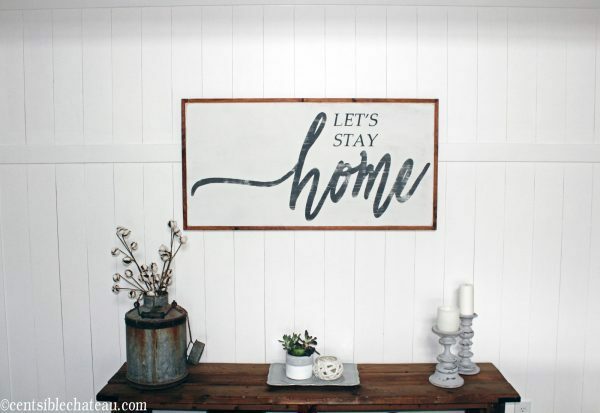 Today she’s here sharing four gorgeous room makeovers full of DIY projects and affordable decorating ideas. Personally, I’m having a hard time picking a favorite of the four, so read on to see all of the transformations. Hello! I’m Heather and I’m so excited to be guest posting on Lovely, Etc! I love Carrie’s site because she is focused on decorating for less, which is exactly what I strive to do. 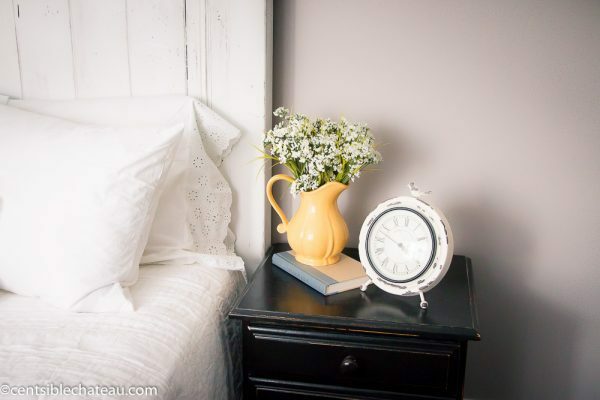 Since I’m new around here, I thought I would do a round up of the room reveals we’ve done over at my blog, CentsibleChateau.com. We’ve been working on our 1980’s home for about three years but I just started our blog last fall. We’ve done too many projects on this home to count and we’ve shared four complete room reveals on the blog. 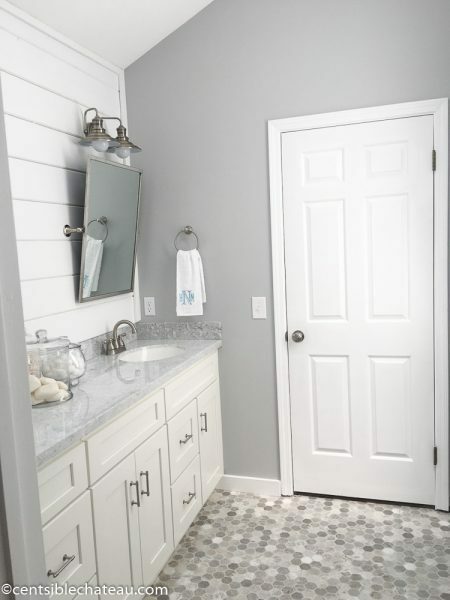 First we revealed our Farmhouse Dining Room then our Master Bathroom on a Budget. 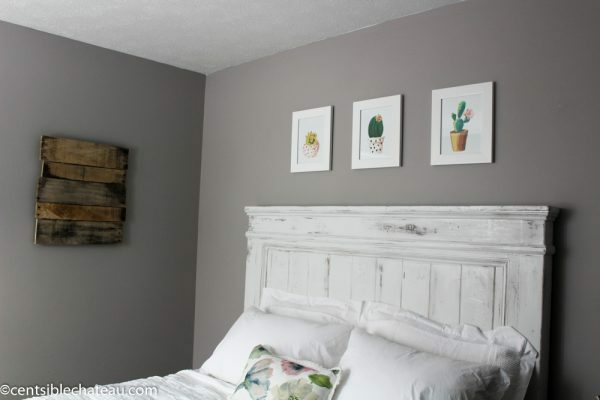 Our Farmhouse Style Bedroom Makeover was next and most recently we’ve finished our Farmhouse Style Family Room for our first One Room Challenge. So let’s get started with our mini-tour! Our farmhouse style family room is the most used room in our house. I’m not sure why it took so long to give it a makeover, but I’m thrilled with the outcome. The first order of business was painting everything. 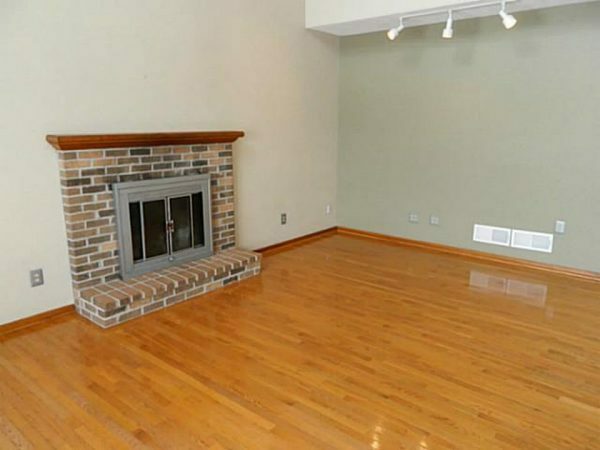 We painted the walls, ceiling, trim and fireplace plus removed the horrible track lighting. 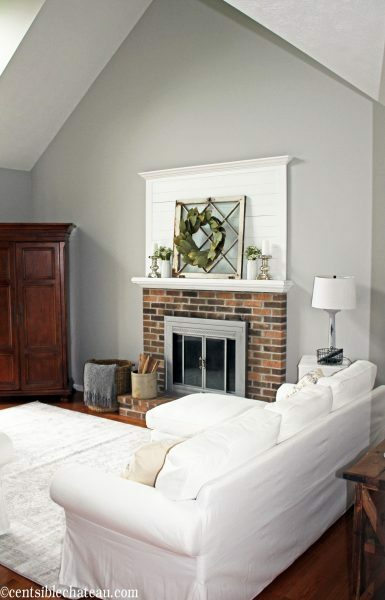 The color is Sherwin Williams Light French Gray #0055. To stay within our budget for our One Room Challenge we bought some inexpensive furniture from Ikea, used items we already had and thrifted some of the decor. My husband made this wood table a few years ago and it’s been sitting in my office. We moved it and it has a new life! The candlesticks are from a thrift shop and I painted them with Rustoleum chalk paint. Everyone thinks I’m nuts for buying white Ikea furniture. But I love it! It was so reasonably priced and the covers are inexpensive to replace. I can’t wait to see how they hold up and I will definitely give an honest review in a few months. Our fireplace was pretty boring so Mike built this shiplap above it and it has been the perfect backdrop for all of my mantel decor. 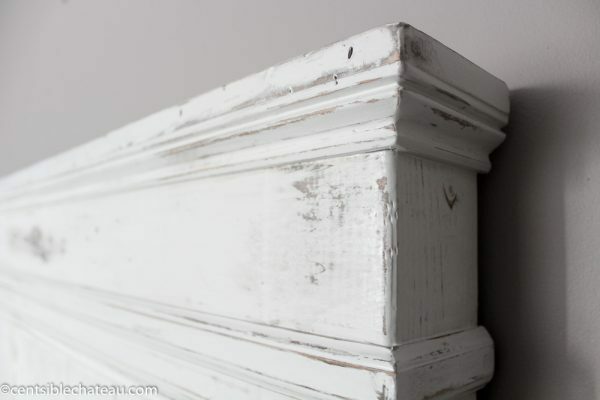 He also built new tops for some old ugly end tables and I painted them with chalk paint. I got the handles at hobby lobby. When one of my boys moved out after college, I decided to create a guest room. We raised three boys and I’ve never had a room in my house that was even remotely fancy. I was so sad that he left, but I’m in love with this room! I’m not sure he’s in love with it when he visits ;).We made the distressed wood piece, the printables, and the bed ourselves. 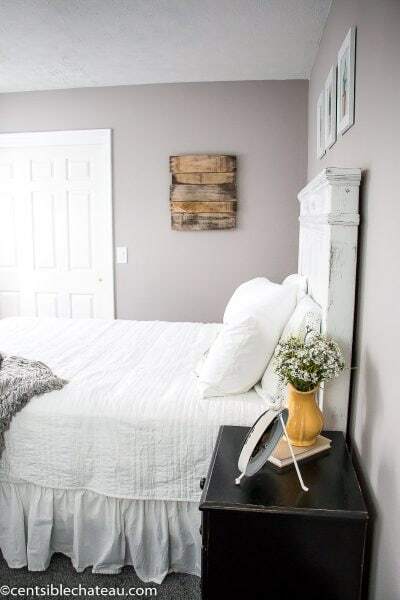 When I say we, I mean Mike built this distressed farmhouse style headboard. I love how chippy it is. You can download detailed instructions to make your own here! 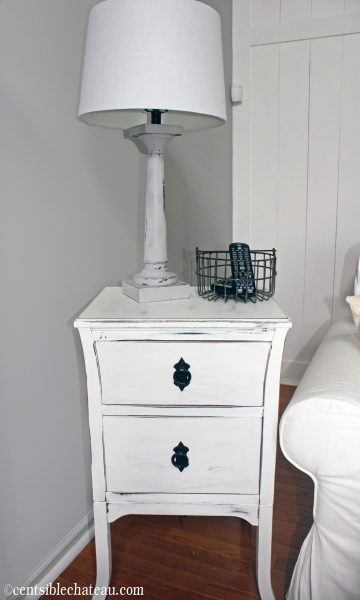 I painted this really old cheap furniture with black paint I had laying around and then distressed it. My pups sure love the room and the spotlight. 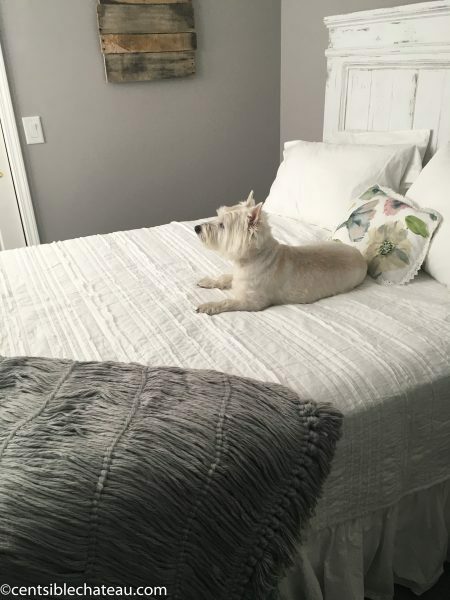 The room ended up being on the front cover of a local magazine and both of our Westies posed for pictures. Here’s Zeus looking all regal. 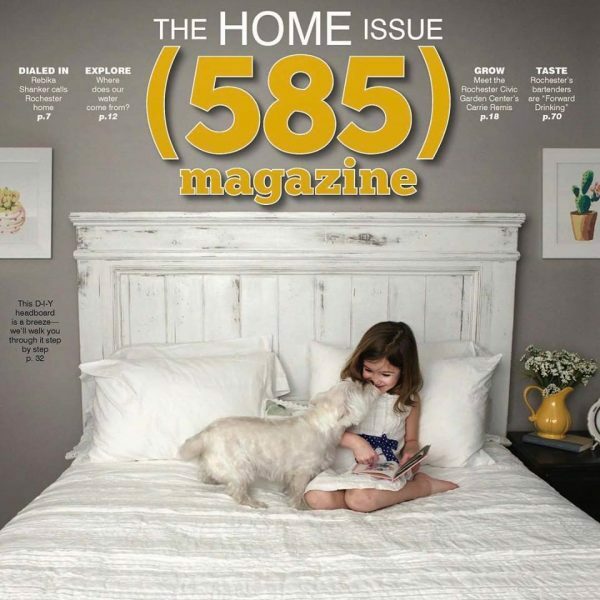 Our little girl Westie, Zoe, ended up making the cover! All of the shopping sources are right here! I forgot to take before pictures for this project so here are some demo pics. I wouldn’t say it looked much better before we started demo! This project is really a major favorite of mine. 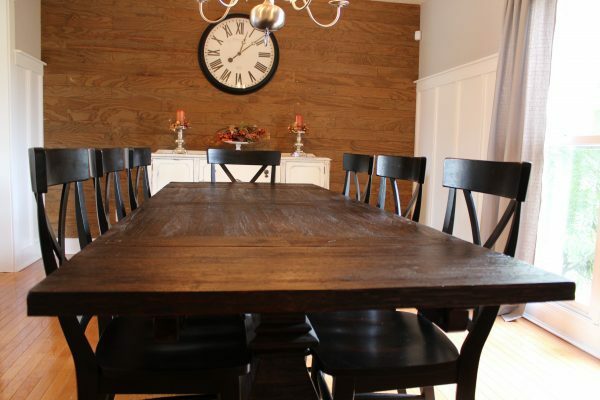 I can’t believe we pulled off such a great looking room on such a small budget. We had a lot to do and things can add up fast so we really had to be creative to get what we wanted. 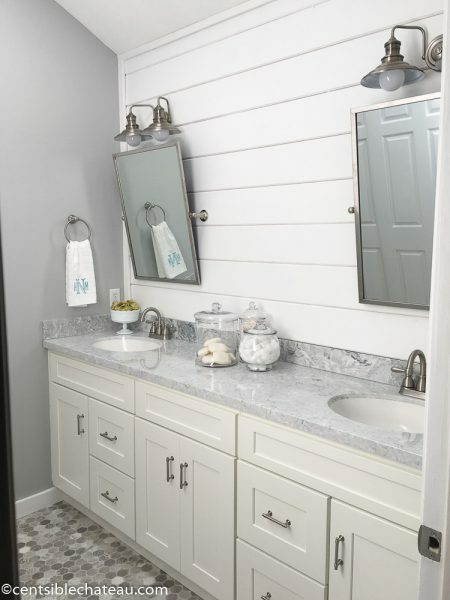 The room required a giant custom vanity and stores were quoting us more than our entire bathroom budget for just that one item. It took some searching but I found just what I wanted. 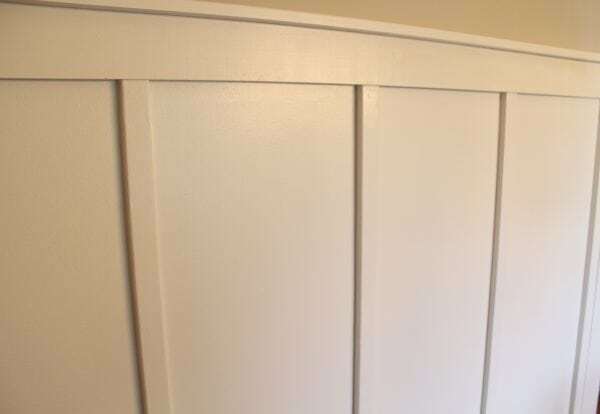 We used cabinets from a bargain outlet to build out a custom vanity. Lowe’s custom made this cultured marble top for a really reasonable price. 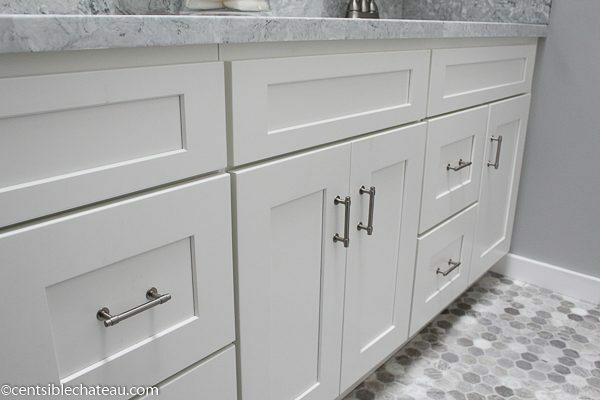 I chose seamless sinks and a thick counter edge to give it a high end feel. This flooring is so classic and beautiful, I had to have it. Can you believe I paid $306 for it!? I found my pottery barn look alike handles on Amazon. Pottery Barn wanted $10 a handle but I paid less than $3! 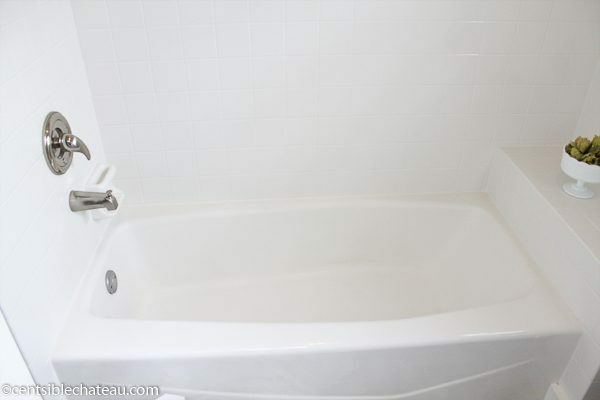 One of the major money savers was our bathtub makeover. There was nothing wrong with our tub besides it being old and u-g-l-y. 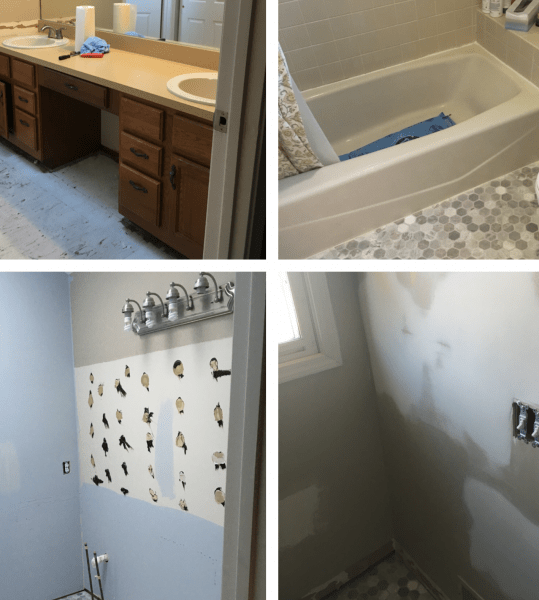 So we removed the old plumbing fixtures, had the tub and tile reglazed, and added new brushed nickel fixtures. The result was a sparkling brand new tub for $900! When I realized we were coming in under budget, I asked myself What Would Joanna Gaines Do? 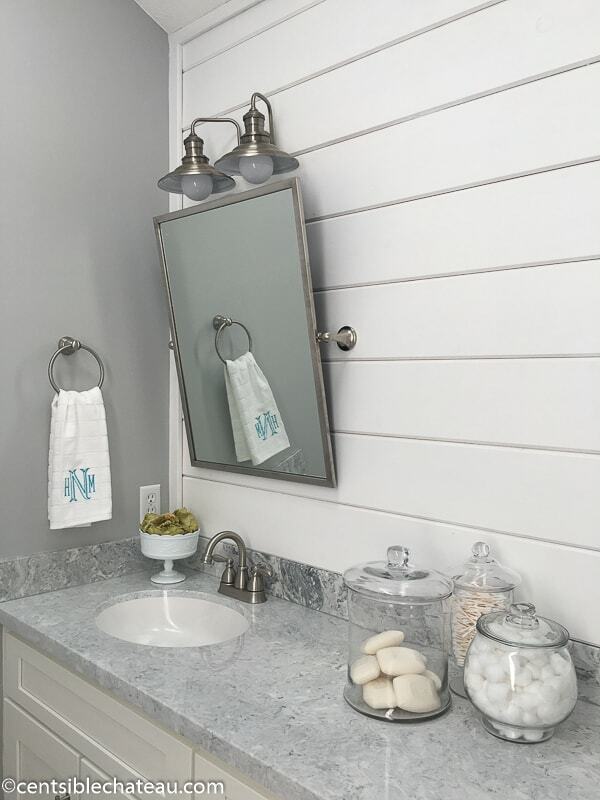 The answer was obvious…Add Shiplap! 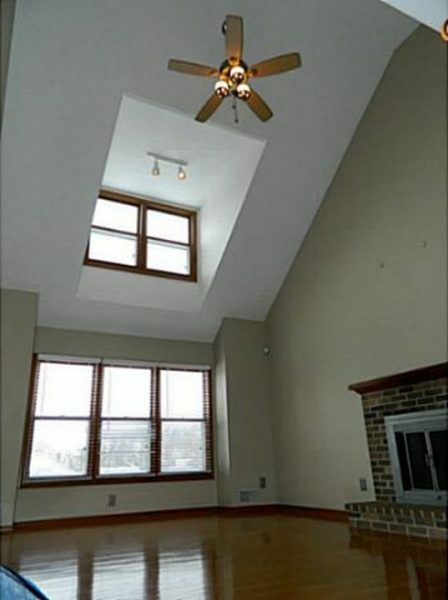 We came in a few hundred dollars under budget on this room. I shared all of my sources right here so you can too! My last room reveal is actually the first room we did in the house. 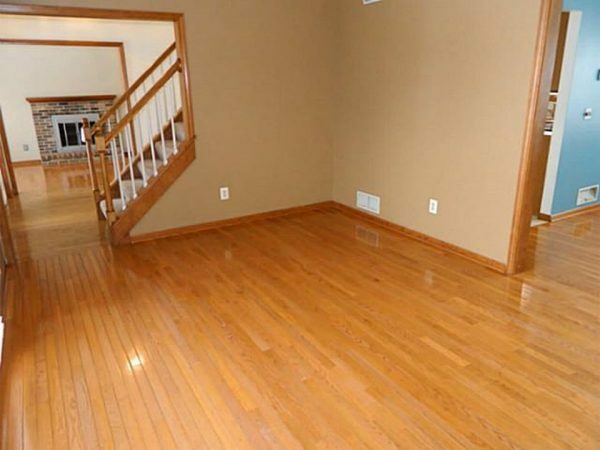 The original dining room in this home was rather small, and there was a formal living room we didn’t need. So we transformed that sitting room into giant dining room where we host all of our holiday family dinners. Mike added board and batten and thick farmhouse trim around the doors. Then we painted the top quarter of the wall a light gray. 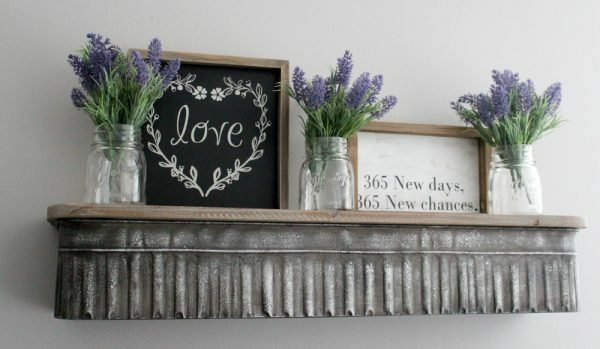 The barnwood wall he added on the end makes a great backdrop for the white buffet I found at a garage sale. 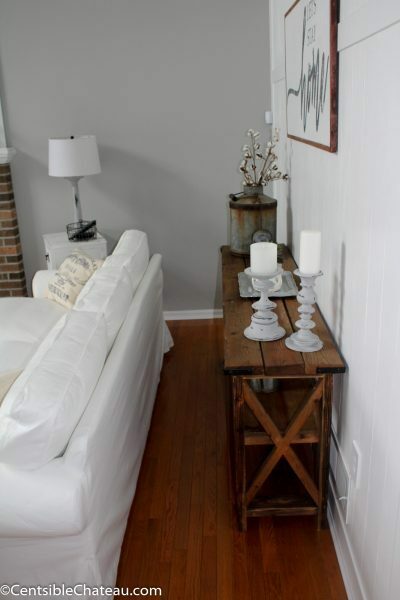 The table is a World Market piece I found when I was looking for an Arhaus table look alike. 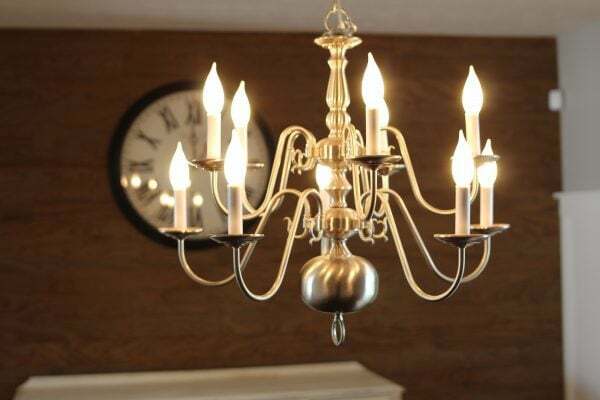 I found my chandelier ($20) and giant wall clock ($25) at thrift shops. That’s the end of our four room tour. It’s been fun to put this in one blog post, because it really gives me an appreciation of how hard we’ve worked. 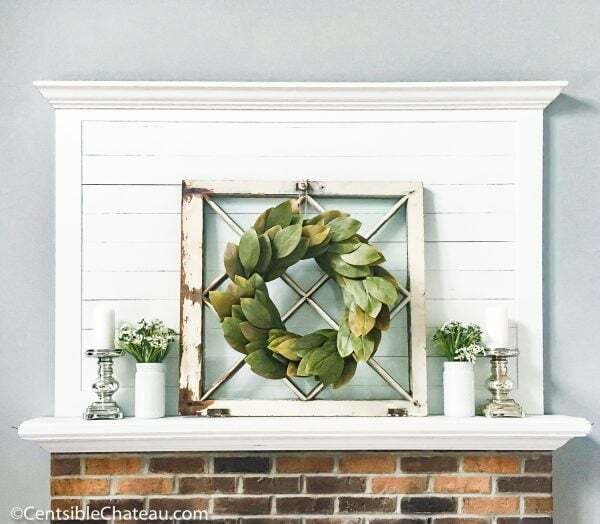 For more gorgeous farmhouse style decorating on a budget, you can visit Centsible Chateau or follow along on Facebook, Instagram, or Pinterest. What a lovely job you and your husband have done! I love that you were so excited about coming in ‘under budget’! 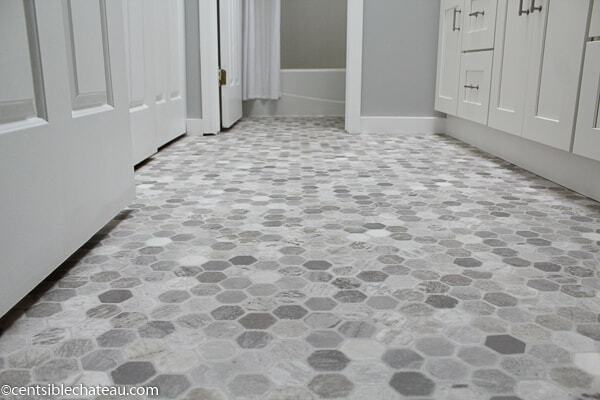 Your bathroom floors are gorgeous, I can’t believe the price you paid! It’s amazing to have a husband so handy, but you have great taste, the home looks beautiful!